After a well-earned summer break, it can be hard to return to the daily nursing demands of early starts and long hours. Health coach Mandy Day-Calder offers advice on how to keep yourself motivated. After a well-earned summer break, it can be hard to return to the nursing demands of early starts and long hours. Health coach Mandy Day-Calder offers advice on how to keep yourself motivated. After your first few shifts and catching up with colleagues, you will usually get back into the swing of working life. 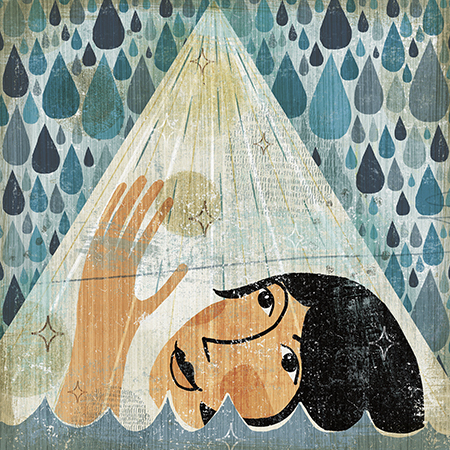 But sometimes, especially if you have been nursing for a while and weathered many healthcare storms, you may feel a deeper sense of malaise for your work. So what do you do if your lack of motivation is more than a case of the post-holidays blues? First, don’t be too hard on yourself; nursing is tough and can take its toll mentally, physically and emotionally. Like athletes preparing for the Olympics, it is challenging to keep yourself motivated year after year. Like all relationships, accepting what you are feeling can sometimes lift some of the emotional burden, so be honest and acknowledge that your bond with nursing is temporarily strained. This does not mean you are a bad nurse, or that you must leave the profession, it simply means your are human. You may feel lost and unable to see a way through, but you can reshape how you move forward. As an experienced nurse, you will have seen numerous clinical changes as well changes to your role. Each change will have brought challenges, but you got through by developing the emotional resilience to adapt and progress. How you are currently feeling is yet another change in your nursing journey. To prevent yourself from becoming stuck, try to reflect on how you have managed change in the past. For example, did you use the support of colleagues? Or did you reflect inwardly, resenting the need for change until you finally came to a point of acceptance? We all adapt differently, so try to identify what you have learned. If you have been nursing for a decade, it is unlikely you entered the profession purely for monetary gain. Among all the modern technology, caring is as fundamental to nursing now as it was when you trained. It may help to spend some time reflecting on what drew you to nursing all those years ago, and where this fits into how you have grown as a professional. Leadership expert Simon Sinek, author of the popular TED talks, calls this ‘finding your why’. He believes that putting your ‘why’ at the centre of what you do is key to lasting inspiration and motivation. What ideals and values made you choose nursing as a career? How would you like to be described by patients and their relatives? How do you make a difference to those you care for? Study reveals the short-term improvements for group of men diagnosed with ADHD.